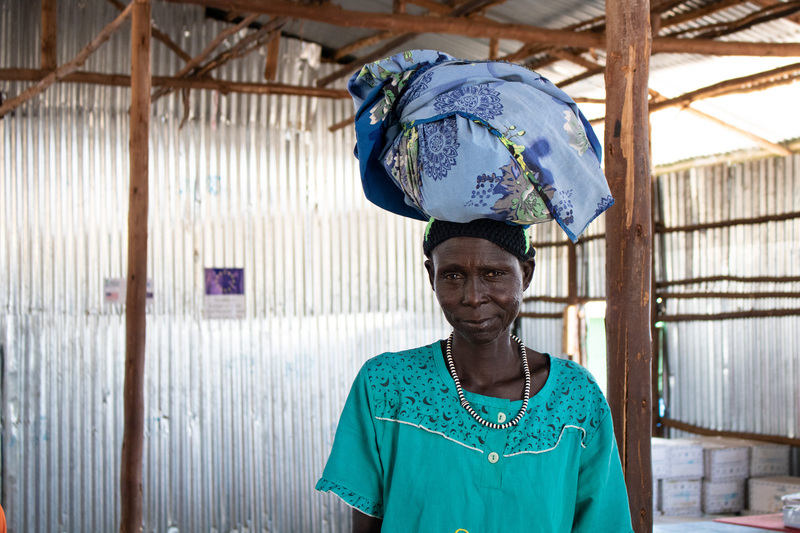 Nyayaul Gatkuoth Chol fled the violence in Mathiang, South Sudan, about 500 kilometres away, to a refugee camp in Ethiopia, where she now lives with four grandchildren and an orphan she looks after. Photo: Naomi Garneau for Action Against Hunger. Our executive director Danny Glenwright penned this piece following a visit to Nguenyyiel refugee camp, where he sat down with some of the beneficiaries you’ve helped us reach. Their stories are heartbreaking, but thanks to your support, we’re able to help mothers and children who have fled the unthinkable. This excerpt is from an article originally published in the Toronto Star on Sunday, March 24th, 2019. When her 5-year-old grandson wakes in the middle of the night, shaking and screaming from the nightmares that haunt him, Nyayaul Gatkuoth Chol is worried but not surprised. The youngster watched his father and grandfather’s, Chol’s husband and son’s, murder two years ago in neighbouring South Sudan. 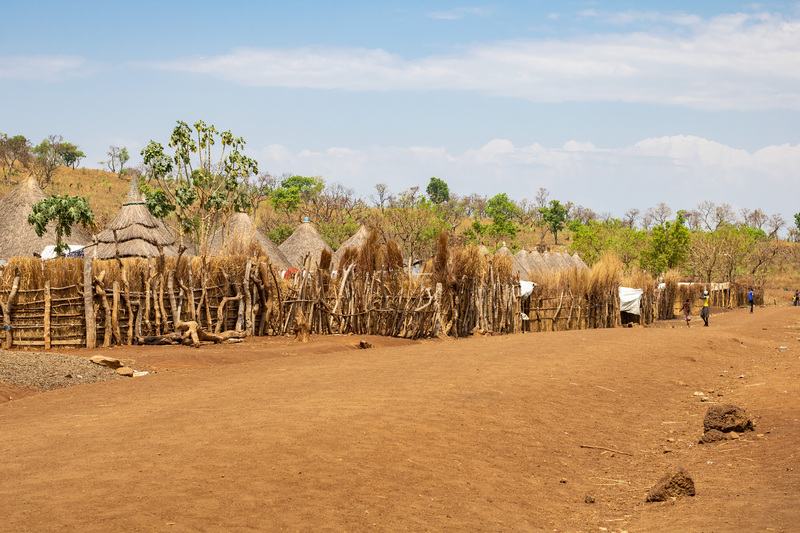 Nguenyyiel camp, Gambella region, Ethiopia. Photo: Naomi Garneau for Action Against Hunger. Continue reading on the Toronto Star website. 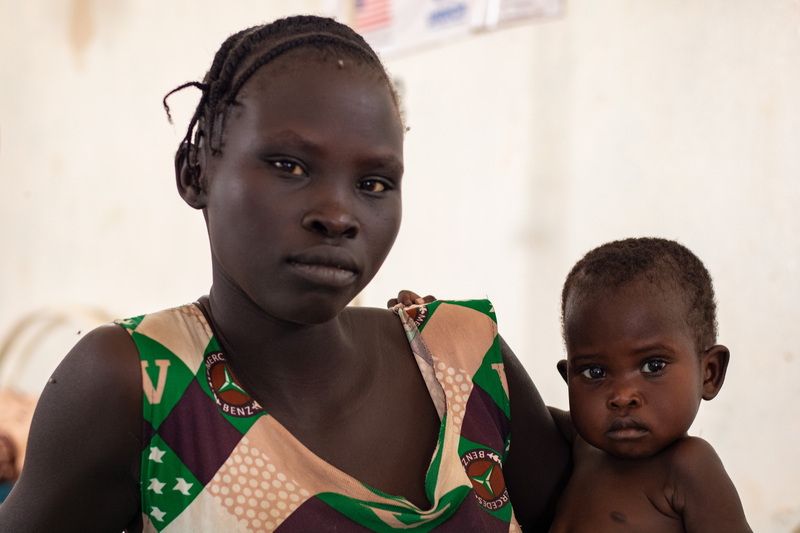 Nyadok Tang and her 18-month-old son Nyakoang, who is suffering from malnutrition. Photo: Naomi Garneau for Action Against Hunger.